Love it or Let it Be? It takes less than four minutes for a you to decide whether the person you just met is someone you want to date. You know it almost instantly. Your heart begins to beat rapidly. You lose your train of thought. You cannot help but to stare at that person. You find yourself having one of the most intense conversations you have ever had but yet not a word is even spoken. It is primal. It is in your body language. It is in those moments that a new attraction is formed. However, what enables some to qualify to be a lasting memory in your life while others only linger for a season or two? With my empathic abilities, and experience as a Love and Relationship reader, I have come to understand that some people despite your connection is only meant to be in your life short term. That does not mean that person did not care enough about you or the relationship to make it last. It also does not mean that the relationship was not important. It is often the relationships that do not last that end up teaching you the most. A failing relationship can teach you what you really need from your partner. It can also allow you to see what you can, and cannot accept in a relationship. Looking at relationships in that sense, every person you date plays an important role in your life. The hardest part is valuing yourself and determining if that person is someone to Love or Let be? The worst thing for a person is to deny their own happiness by staying in a relationship that they know is not the right one for them. Breaking up is emotionally and physically draining. Yet, imagine If you could love the wrong person that much, how much you could love the right one? Find out what’s in store for your love life. 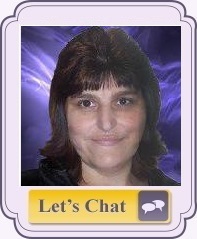 Chat now with Seek Your Fate!